For purposes of this Agreement, "You" or "Your" means the person(s) using the Websites, and/or the goods, facilities or services of FinMkt ("Site" and/or "Services") and its companies offered through alternative methods, including persons that allow others to provide information about themselves to FinMkt, the banks, lenders, financial institutions and providers on FinMkt's network ("Lending Partners"), providers and partners. "FinMkt", "us" or "we" means, but is not limited to FinMkt. The Websites and the services provided by FinMkt are available in connection with non-mortgage loans unless otherwise specified. 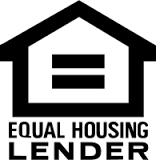 Loans may only be made to residents of states where Lending Partners are licensed or authorized to make such loans. FinMkt FinMkt and Lending Partners expressly reserve the right to discontinue, suspend or terminate the offering of any loan product in any specific state through the Websites at any time, without prior notice. By submitting the loan request, you are extending an express invitation to each Lending Partner you have been matched with to contact you by telephone at the numbers (whether landline or cellular) you have provided so they may assist you with your transaction, and you hereby consent to any such calls even if your phone number is on any Do Not Call list, or by email at the email address you provided or at another address that may be associated with you and you hereby consent to any such email so it will not be considered spam or unauthorized by any local, state or federal law or regulation. By submitting your information, you give FinMkt permission to retain all such provided information. For any service, you represent that all of the information you have provided in your submission and loan request is true and complete. You have the right to receive any document in non-electronic form and to withdraw your consent to electronic delivery at any time by emailing FinMkt at privacy@finmkt.io . All loans are subject to credit approval. Interest rates and loan fees vary and are based upon borrower and/or cosigner (where applicable), credit score and other underwriting criteria. Approval and underwriting criteria standards are established and maintained solely by the individual Lending Partner(s) and not by FinMkt . Should a Dispute arise and should the arbitration provisions herein become inapplicable or unenforceable, or in any instance of any lawsuit between you and FinMkt , the parties agree that jurisdiction over and venue of any suit shall be exclusively in the state and federal courts sitting in New York. If either party employs attorneys to enforce any right in connection with any Dispute or lawsuit, the prevailing party shall be entitled to recover reasonable attorneys' fees.